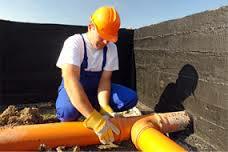 Best local NJ sewer installation contractors with best price and ON TIME service! Loking for companies that install sewers in NJ? sewer installation or sewer repair for home or commrcial? 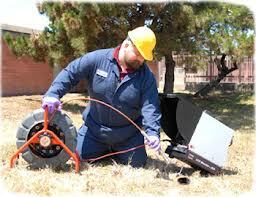 We are the #1 in sewer installation in service and price. 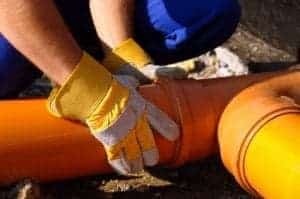 As NJ local contractors we will perform any new sewer pipe installation as well as sewer pipe replacement/repair for old and damaged pipes from A to Z so you don’t need to worry about the process. 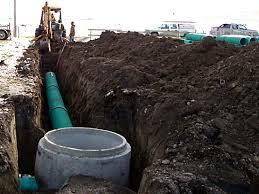 Installing new sewer lines or drain line in New Jersey is a complex process, since sewer piping needs to be at the right slope, and sections of pipe must be securely joined together. Sewer replacement is a similar process, often used for pipes that are too damaged for traditional sewer repair techniques like pipe lining. Sewer installation is an intensive process, and unlike most sewer repair jobs, excavation is necessary to lay the new pipes. When installing new sewer line in NJ, contractors need to account for slope, elevation, and other factors, to ensure that the lines will be conducive to proper water flow. 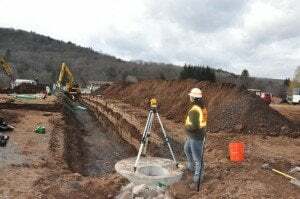 First, sewer installation contractors will determine how long the new sewer lines will be, as well as assessing the slope and elevation in the area. After elevation is accounted for, contractors must also calculate the pitch for the run of the new sewer pipes. This involves a simple mathematical equation: both initial and terminal elevation are subtracted from the pipe’s horizontal length, yielding the drop per foot of pipe. The drop should not be more than 1/4″ per foot: if so, water will flow faster than the solid materials, increasing the odds of a sewer clog. It also shouldn’t be less than 0.003, to ensure that solids will be carried with the water. The next step is to excavate a trench where the new sewer pipes will be installed. 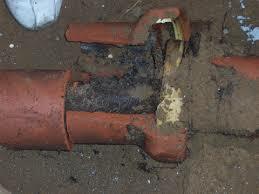 At the bottom, loose dirt will be removed to create a smooth surface on which to place the pipes. In some cases, a bedding material like sand will be added to support the pipes and protect them from sagging downward into the soil. When the trench is ready, the sewer pipes will be laid down into the bottom. 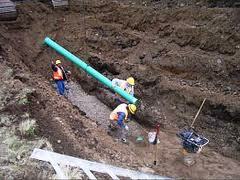 Usually, sewer installation contractors will start at the end with lower elevation, and end at the higher end. 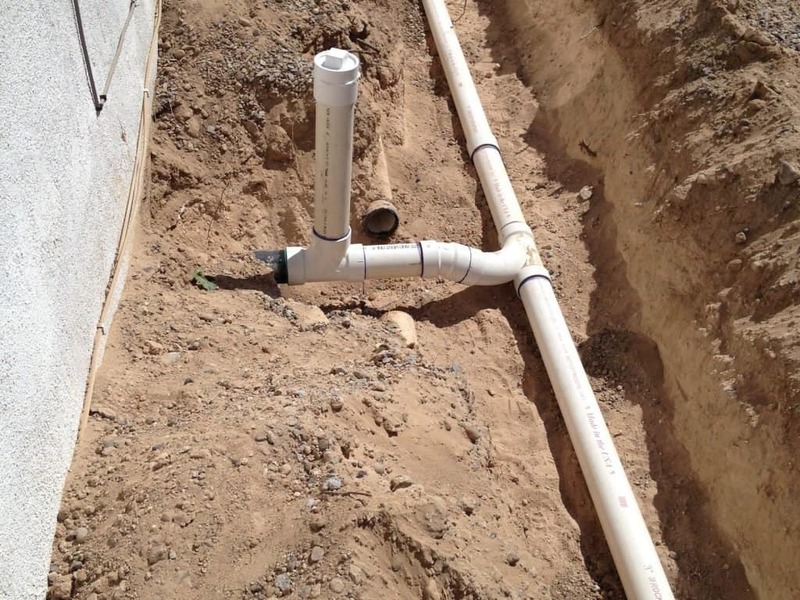 For PVC pipes, sewer pipe installation companies use a compound called purple PVC primer, which cleanses the surface of the PVC to ensure that the glue will adhere properly. Once the pipes are laid and installed, sewer installation contractors will then inspect for broken or disconnected places. Sand or gravel is then placed over the pipe to a height of about ten inches, and compacted with compaction equipment. Most such NJ plumbing problems can be addressed with trenchless sewer repair techniques, such as pipe lining. However, in some cases, pipes may be too old or too severely damaged to fix. In these cases, contractors will generally opt for sewer pipe replacement instead. Collapsed pipes require repair or replacement, and sewer service contractors might also opt for sewer replacement for very old pipes which are severely corroded from decades of use. 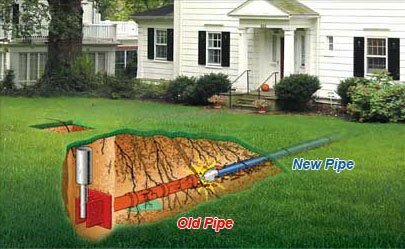 In some cases, sewer replacement can be performed by a sewer pipe replacement contractor NJ with trenchless pipe bursting techniques, although excavation may sometimes be necessary.